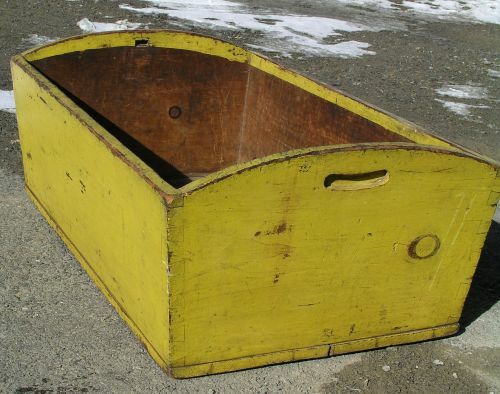 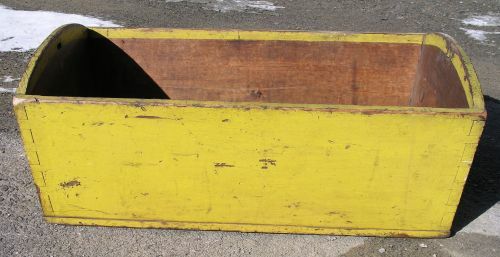 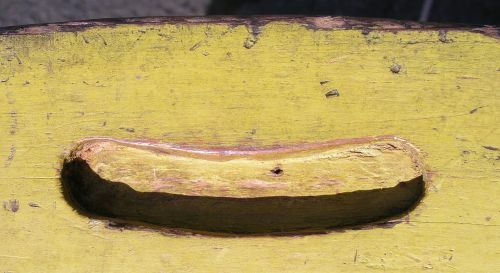 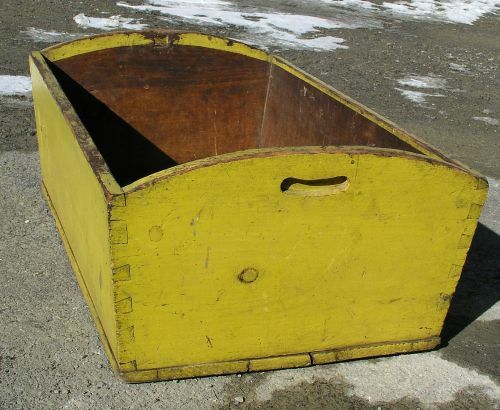 Vibrantly painted pine chrome yellow dough box found in New Hampshire. 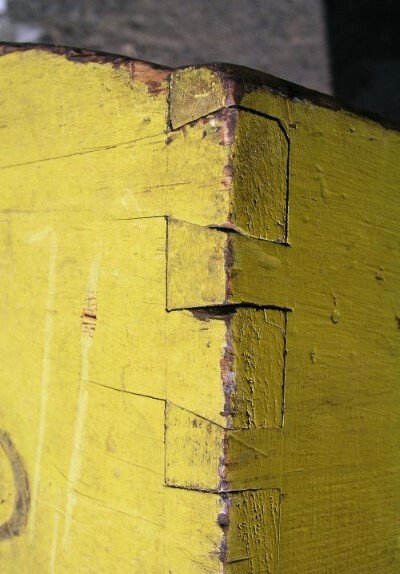 Dovetailed corners with square nailed bottom. 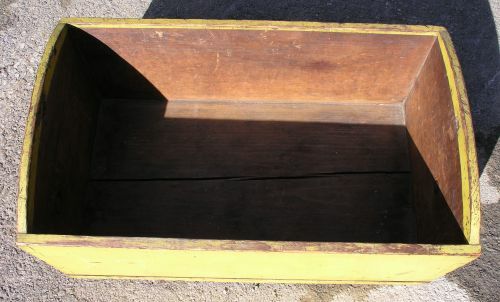 Fantastic condition but does have an old age crack along bottom that is not an issue. 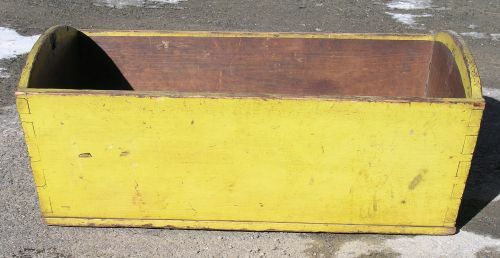 Dimensions: The top edge measures 29 1/4" X 18" X 11" tall. 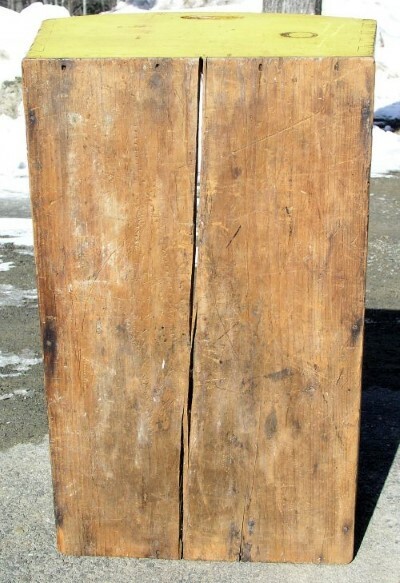 The bottom measures 16" X 27"